Heavy snow covered most of the United Kingdom today causing major disruptions on the roads and rail network. Rail companies reported delays and disruptions to services. Flights from airports, including London Heathrow, were still being cancelled or delayed late into Friday evening. Representatives at the airport are recommending passengers contact their airlines before travelling. The bad weather also led to the closure of thousands of schools across the country with 5 to 10cm of snow settling on parts of the West Country and Midlands. 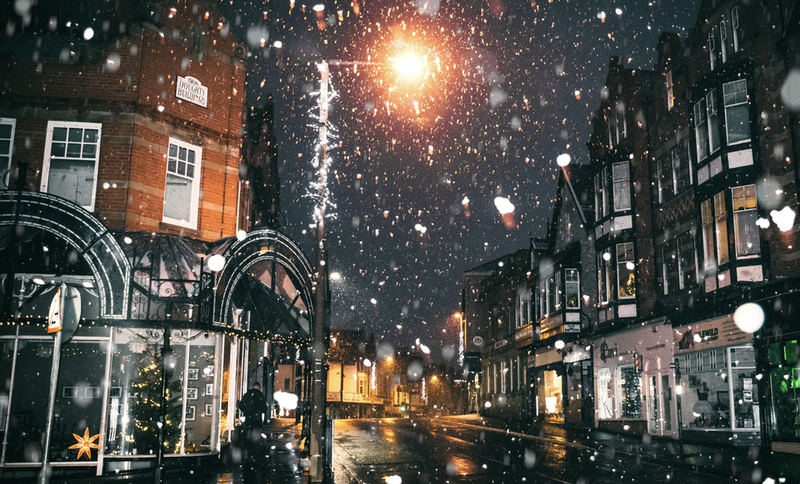 The highest snowfall was measured in Sennybridge, Powys, with up to 25cm, while in Dunkeswell, Devon the snowfall was 16cm. The Highways Agency has advised motorists to travel only if their journey is essential. The Met Office said there will be less severe conditions across the UK over the weekend but there is a possibility of further outbreaks of sleet and snow.